These adorable earrings work up quickly in square stitch. 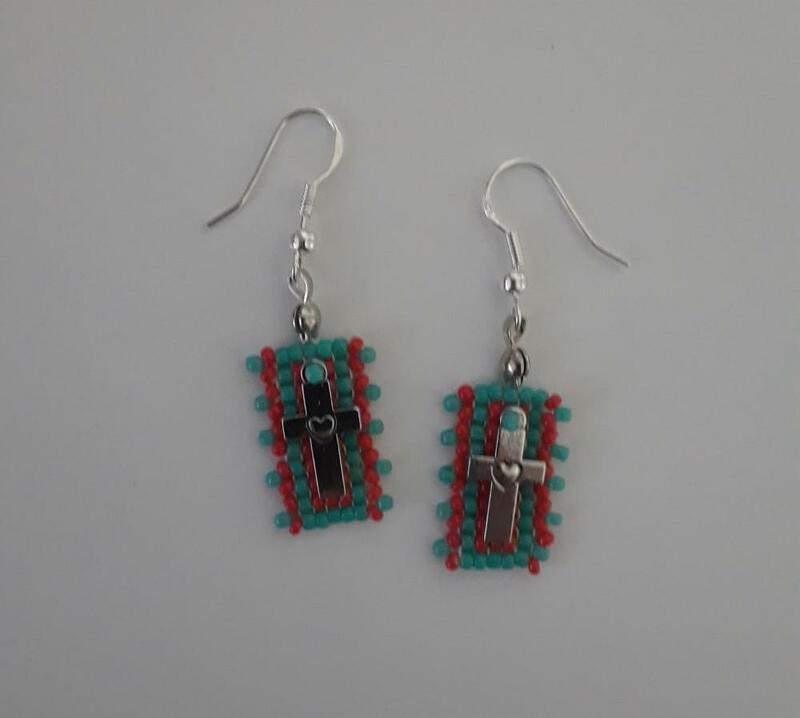 They have no fringe, but a bead-picot edging along the sides, and have a tiny metal cross charm embellishment. The instructions include a color bead graph. Also included is information about where to find supplies for the exact project, or using a charm of your choice.